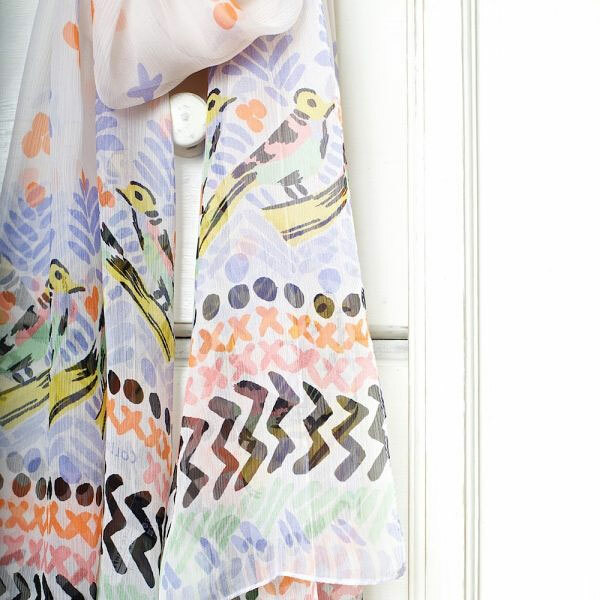 Birdy Border Silk Chiffon Scarf is long, light and lovely. 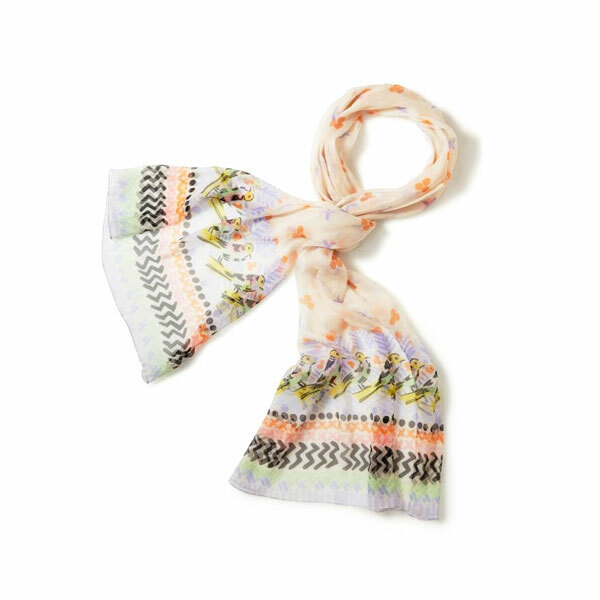 The scarf is decorated in a delicate mix of colours in the Collier Campbell iconic bird design, which is based on one of the company's vintage designs. 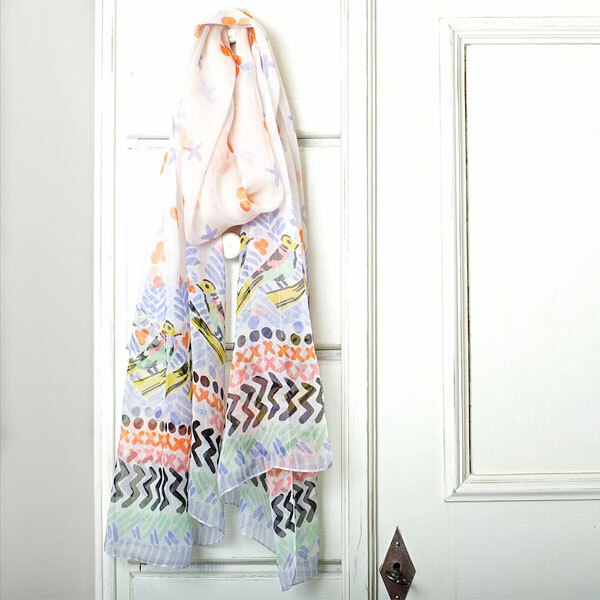 Although light the scarf is warm and, being made in a luxurious silk chiffon, it is a delight to wear. The scarf was made exclusively for Collier Campbell in Italy, in a factory used by many top fashion houses - so "a designer scarf at high street prices"!